My dad and I are fans of any hot drink out there, no matter what the ingredients we love it and it is perfect to have at night as a dessert! 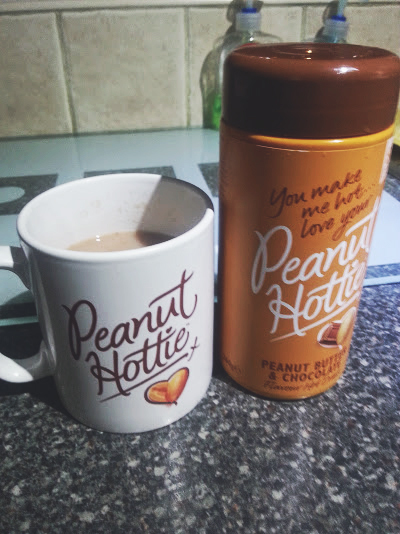 When the original Peanut Hottie drink came out we were besotted, the idea of having a peanut flavoured drink is beyond amazing! 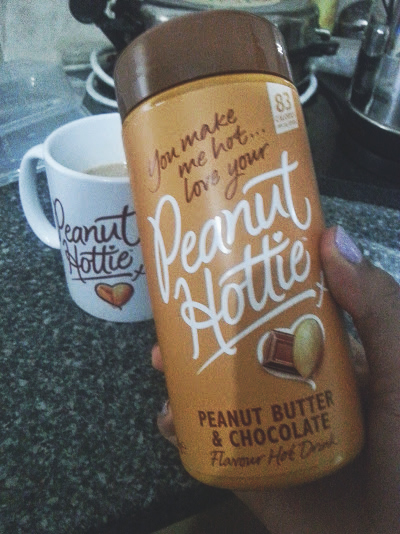 So, when they came out with their newest concoction 'Peanut Butter and Chocolate' I was like 'no way can this beat their previous drink' but it does! The great thing about the drink is that is it only 83 calories per serving, giving you an excuse to have as many as you want in the day. It sounds odd, but I love the formula of the drink as well?! The more mixture you add, the fluffier and creamy the drink is which makes it lovely to drink and feels more expensive than you think it is. The adding of the chocolate flavour is just great because it balances out the flavours and the mixture of the two is just divine. It is also the perfect drink at the moment because it is that awful weather outside, where its cold but warm. If this sounds amazing and delicious to you, then make sure you go out and buy yourself some right now!